Gibraltar Range National Park offers scenic natural sites and a wide range of attractions, from picnic spots to multi-day hikes. Gibraltar Range has so many plants and animals descended from the dinosaur age, that it’s part of the Gondwana Rainforests of Australia, a series of parks and reserves stretching from Barrington Tops to southern Queensland. That’s only the start of what makes this a remarkable place. Strike out on a mountain biking track past huge granite outcroppings that oversee ancient rainforest. Swim in creeks surrounded by signs of early colonial history. Camp in fragrant woodlands and listen to giant barred frogs during their nightly chorus. Take a morning walk for the waratahs and Christmas bells, or stock the backpack and embark on a rugged adventure for many days. There are sweeping lookouts and swooping yellow-bellied gliders, a comfortable cottage for hire and plenty of picnic spots to settle down with the family on a lazy Sunday afternoon. 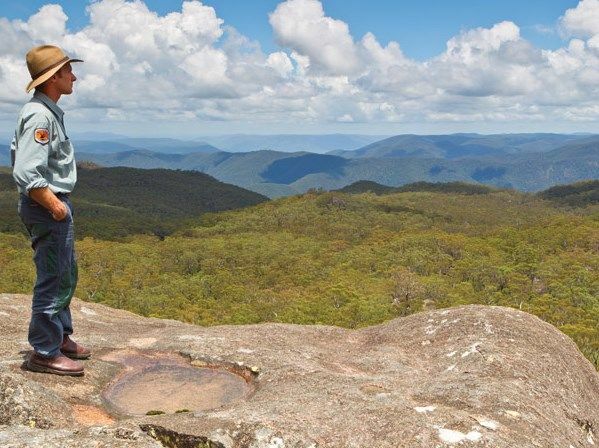 Gibraltar Range National Park is a rarity; historic and appealing to a modern audience, a treasure for heritage buffs, naturalists, adventure junkies, and people just looking for a quiet place to appreciate the wonders of the state.